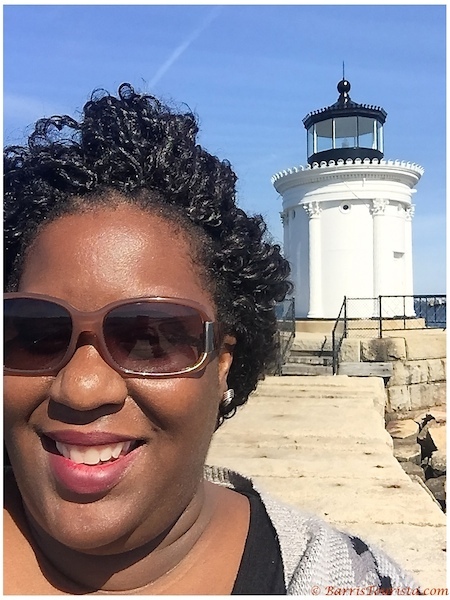 Before I got to Portland, Maine, I knew two major things that drove me to the destination. Those things were Maine lobster (which I had my fill of, trust me) and lighthouses. But because I visited the city at the end of April—before the high season really started—many of the tours of the lighthouses weren’t yet available. So I decided to create one myself. 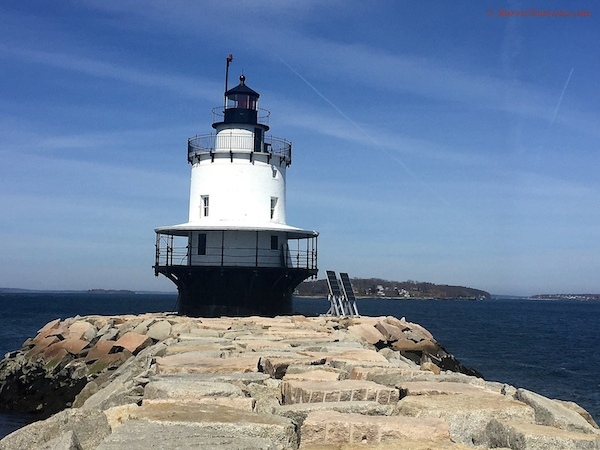 Here are my tips and discoveries from my self-guided, Portland, Maine lighthouse tour. Because I wasn’t able to find a tour that would take me to all of the local area lighthouses, I had to do some digging. 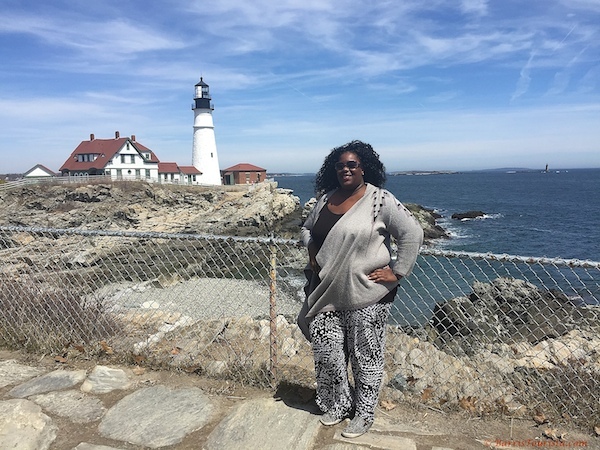 And thanks to Visit Portland Maine, I was able to find some ideas on how to structure my tour. The plan was to hit the six lighthouses surrounding Portland in one day as soon as I arrived. Then the question was the car. Portland is a compact city, and you don’t really need a car in the city (and parking is probably super expensive at the hotels). Not to mention that the hotel I was staying at, The Press (which was amazing, review to follow) has a shuttle that will take you and pick you up from anywhere in Old Port (and even to the airport and back) really meant that I didn’t need a car. So I took an alternative approach. I was able to rent a car and do a one-day, one-way rental. Meaning, as soon as I got to the airport, I picked up my SUV and I was able to drop it off downtown Portland that evening. Then, I could have the hotel shuttle pick me up from the rental car location and not have to pay for parking! The whole thing, including gas, only cost me about $70-80 total. Score. So, off I went. The way the stops are set up, Two Lights State Park is actually the further removed and then I was working my way back to the city. So I left from the airport straight away and headed to the park. Pro tip: Two Lights is actually the most complicated one and at times cell phone coverage was spotty (read: nonexistent, no service) when you actually got close to the park, so make sure you have a sense of direction so you can weave your way back out the way you came. And it doesn’t hurt to print out the directions ahead of time in case your navi goes out because no cell coverage, like mine did. Luckily I have a decent sense of direction and was able to reverse my steps until my signal came back. Both of these lighthouses are on private property, so you can’t get close. One was visible over houses and looked more like watertower and was largely unimpressive. But the main lighthouse was lovely. 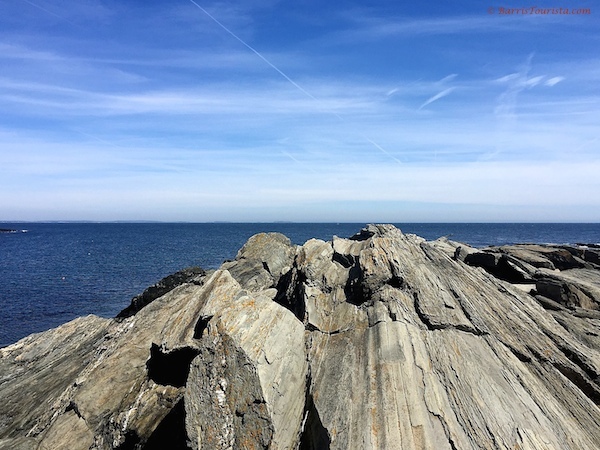 When you get to the park, you are right on the coastline and you can climb up on the rocks to get a really great view of the lighthouse, the rocks, and the sea. Be careful because the rocks are jetting rocks but once you get out there, the view was stunning. The water in the inlet was so clean and so deep blue that the photos don’t really capture it. After working my way back to the main road by memory (remember, no cell coverage), the next stop was off to the Portland Head Light. 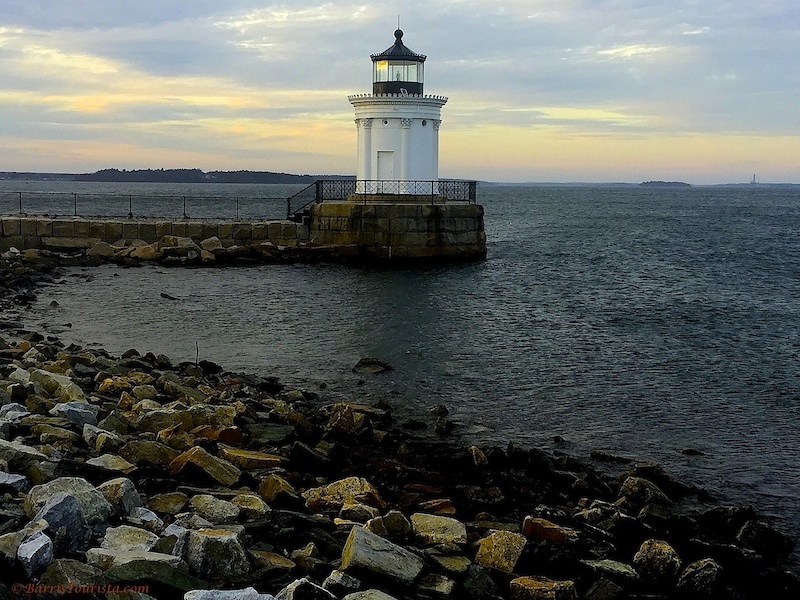 Also in this location is the Ram Island Light House, which is a cute little lighthouse on Ram Island, right at the entrance of the Portland Harbor. 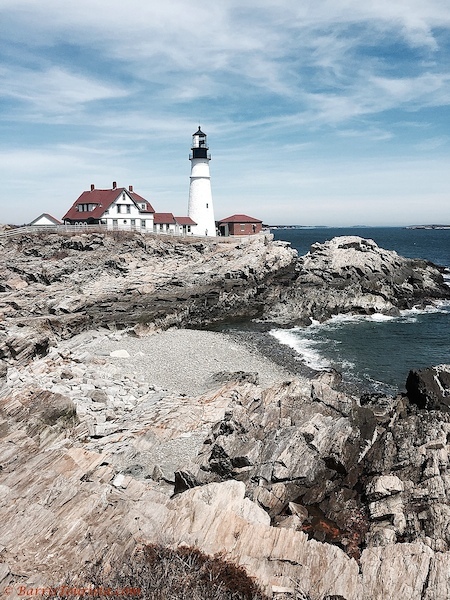 The Portland Head Light is actually the state’s oldest lighthouse, as George Washington commissioned it and it was built in 1787. It is right on the ocean and it’s presence really defines the oceanfront and the area. I started by walking up the coast to the right of the lighthouse and capturing some pictures and photos. Then you can walk right up under the lighthouse and snap some photos. And lastly, there’s a trail that you can hike, past the lighthouse, along the coastline for more amazing vistas. I ended up this stop walking up a hill to get an elevated view of the Portland Head Light and the coastline. And there is even a museum and gift shop, which are located in the former lighthouse keeper’s house. It’s truly a piece of history. The next lighthouse is actually on the campus of Southern Maine Community College. To get to the Sprint Point Ledge lighthouse is…well… a bit of a journey. I arrived on campus and was able to find the parking lot closest to the lighthouse. It was, of course, full. I found another parking lot nearby that I *think* I was allowed to park in as a visitor. 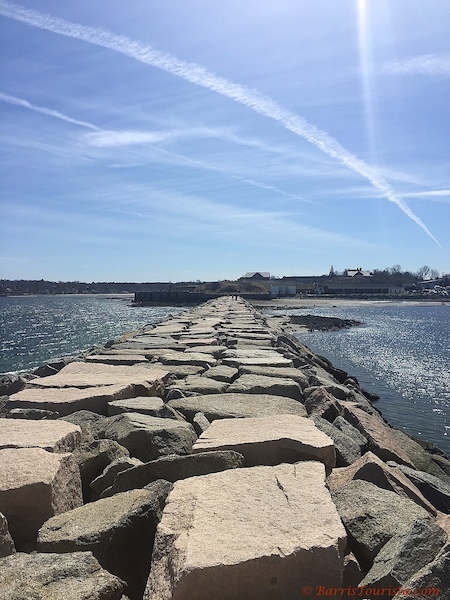 To get to Spring Point Ledge, you walk along the harbor, along the granite wall until you reach the lighthouse. And, as you can see, it is at the end of a long rock walkway that juts out into the sea. So here’s a true “do it for the blog” moment. You see how long that rock walk is? The walkway is above the water and has warning signs to walk at your own risk. And it was super long. Like, the photos don’t do it justice. I had to make a decision: Was I going to shoot the far away shot, or was I going to try to make the trek to the lighthouse and accept the challenge. I chose the latter, which is a big deal for me. Background: I don’t have a fear of heights. I have a fear of not having solid ground beneath my feet. And this wasn’t no crystal stair, not solid walkway. These are rocks. With spaces between them, sometimes large gaps. And, I’m clumsy. With not the best knee. Fun times. I had to calculate every step, trying to choose the rocks that seemed most sturdy and try not to take too big of jumps so I didn’t slip. At one point, I had gone so far there was really no point in turning back, so I kept going. 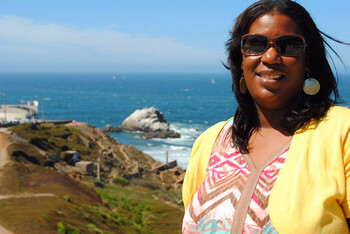 And, like a true blogger, I shot video of me making the trek. I truly had to #DoItForTheBlog. The lighthouse views were lovely but I was more proud of my trek. It took me a minute but I made it. Then it took me a minute to steady myself for the walk back. But alas, I’m here to tell my story. 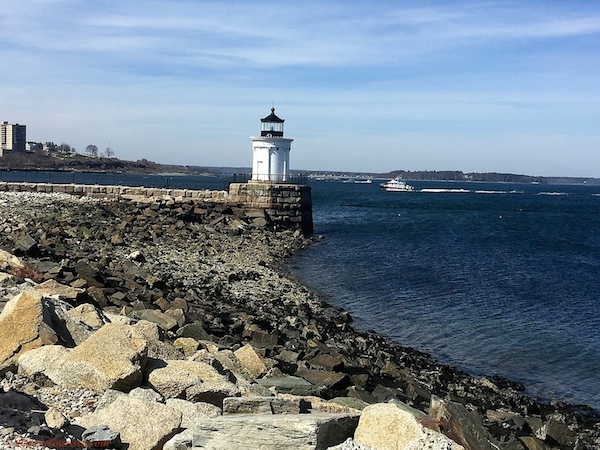 Not far from the campus is Bug Light Park and where you can get up close and personal with Bug Light lighthouse. This is one of the best lighthouse photo ops that there is. The walkway to the lighthouse, the stone along the coastline, it was all perfection! 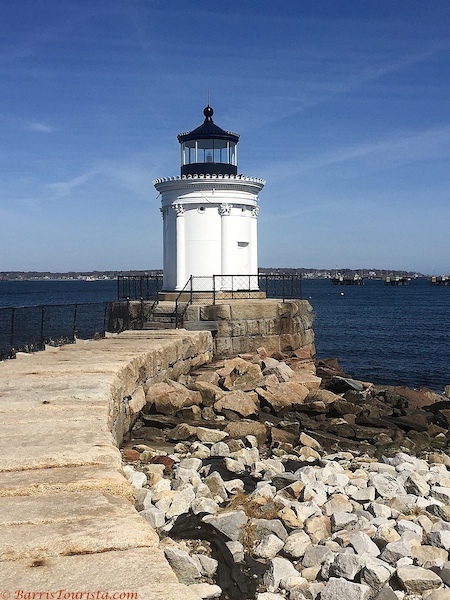 But one of the best parts of this lighthouse is that you can get a perfect panoramic skyline view of Portland across the harbor. It was absolutely love. 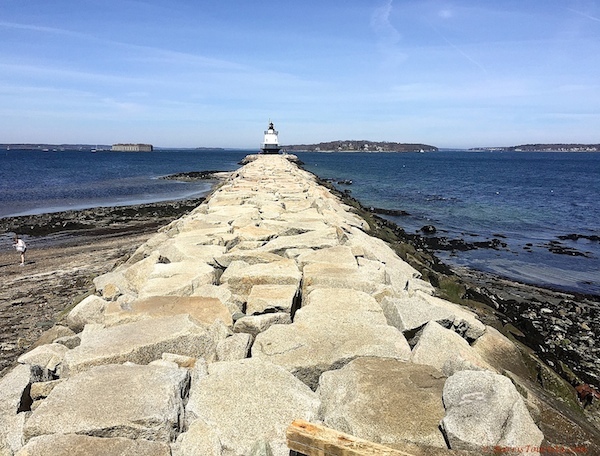 The lighthouse’s official name is the Portland Breakwater Lighthouse, but it was nicknamed “Bug Light” because it’s tiny! Like not big at all. The details are amazingly intricate and it’s very fancy, especially to have been built in 1875. But it’s really small. There’s a park where people played Frisbee, ran, and played with their dogs in the grass. All with the city skyline in the background. At this point, it was somewhere around 4 pm, and I had started my travel day at about 3 am, and I hadn’t eaten at all except a granola bar I had stashed in my bag. So, needless to say I was hungry, tired and ready to sit still for a second. So I went and checked into my hotel, The Press. 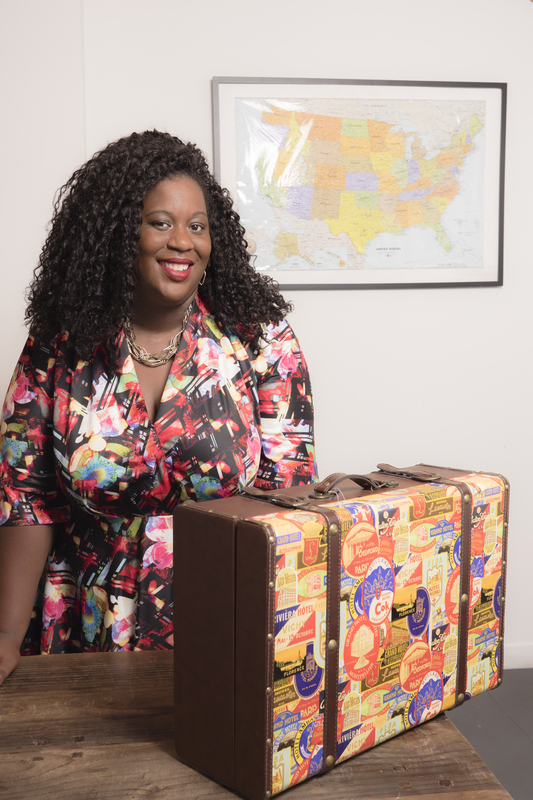 After dropping my bags and getting some much-needed food (you know my first meal had to be eating Maine lobster in Maine), I contemplated heading back out. 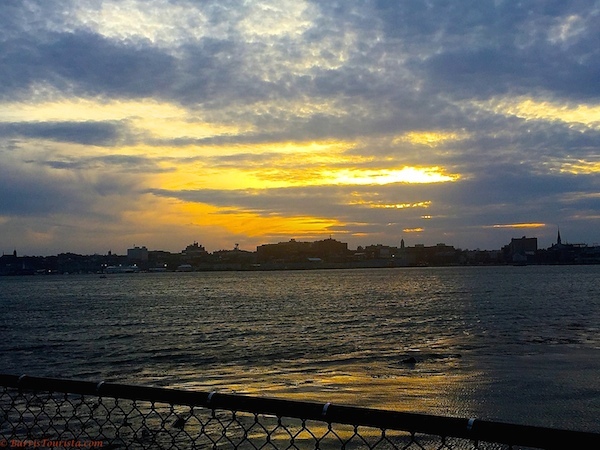 I had finished my self guided lighthouse tour but I decided that I would venture back to Bug Light to get some coveted sunset photos of the lighthouse and the skyline. So I made the 20 minute drive back to Bug Light. When I got back, it was cloudy, so I didn’t get the perfect sunset pics, but I did get some nice shots at dusk. Which was good…because I almost froze to death. Man, when I say that wind was WHIPPING off the coastline by that lighthouse. I could barely hold it together. Everyone looked to be struggling in the cold and the wind was not helping. We were, after all, right on the harbor and the tide was coming in. It would venture to say that this wind is the type of icy wind that you endure in downtown Chicago during an arctic vortex. I stayed out way too long, again #doingitfortheblog snapping photos and by the time I got in the car I was audibly asking myself “what were you thinking?” But the shots were great, and in the end, it was worth it. So that’s it. 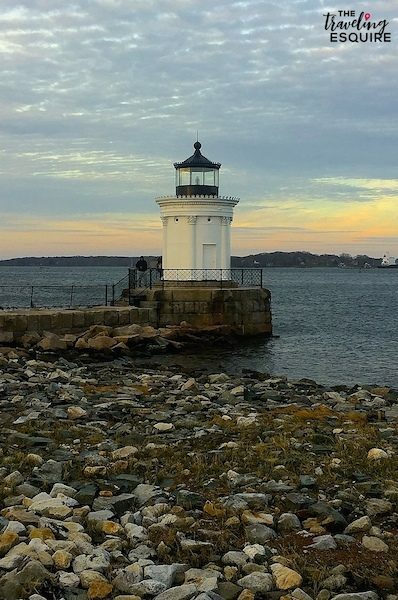 That’s how you can catch the lighthouses of Portland, Maine, even if no tour is taking you to all of the destinations you want. And the whole day cost me no more than $80 total in a nice SUV. 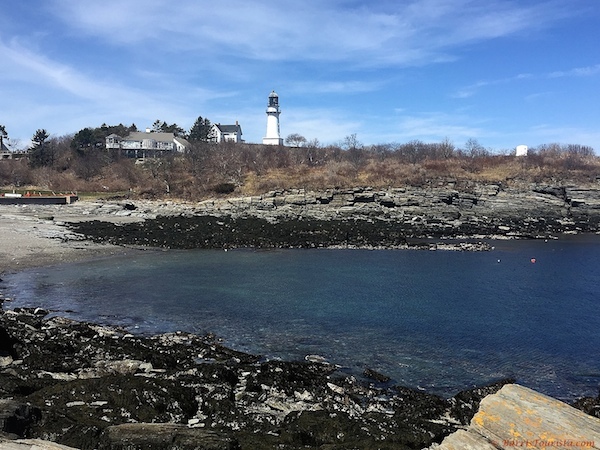 This is the perfect activity for photographers, families, couples, or the solo traveler, as I felt safe the whole time I was driving around (and just in Maine in general because, well, Maine). Just be sure to have directions printed out in case service goes out. In fact, I am including directions below between the stops for your reference.